Why do our customers write five-star reviews for us? Why do we receive the Angie’s List Customer Service award? Why did we receive Home Advisor’s Elite Service award? It’s because every one of our staff is dedicated to outstanding customer service. Your complete satisfaction is our number one goal. 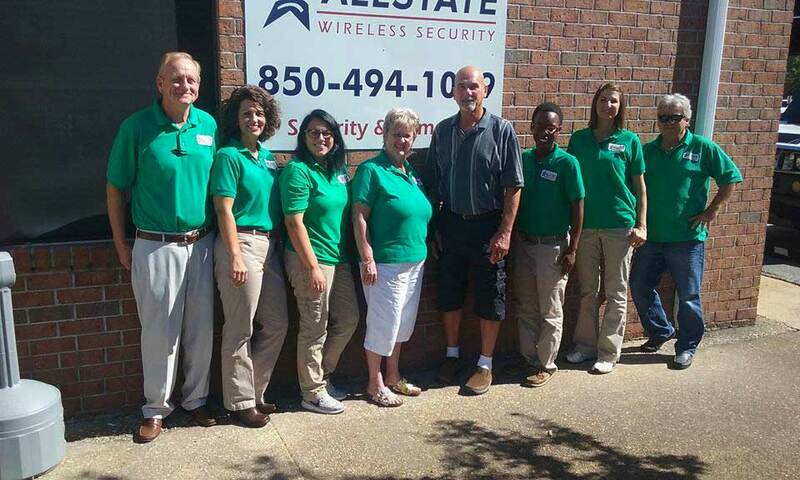 The Business office for Allstate Wireless Security is located in Pensacola. The company serves the Western Florida panhandle and southwestern Alabama. In Florida, Allstate Wireless Security Inc serves Escambia County, Santa Rosa County, Okaloosa County including the cities of Pensacola, Ferry Pass, Crestview, Fort Walton Beach, Destin, Milton, Niceville, Gulf Breeze, Cantonment, Molino, Perdido Key and surrounding areas. In Alabama the company serves Mobile County and Baldwin County including the cities of Bay Minette, Loxley, Robertsdale, Summerdale, Foley, Fairhope, Daphne, Spanish Fort, Gulf Shores, Orange Beach and surrounding areas.